We have a passion for Gascony — its people, its food, its traditions, and its beloved Armagnac. 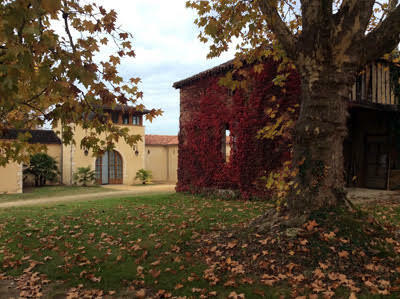 Initially attracted by the tranquil countryside, as well as its famous classic French gastronomy and rustic wines, we fell in love with the people of Gascony and their traditions. Foremost of those wonderful traditions is Armagnac — the world's oldest and finest brandy. 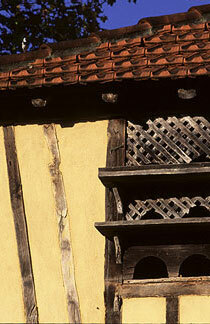 For more than 700 years Armagnac has given expression to the rich passions and history of this unspoiled region. 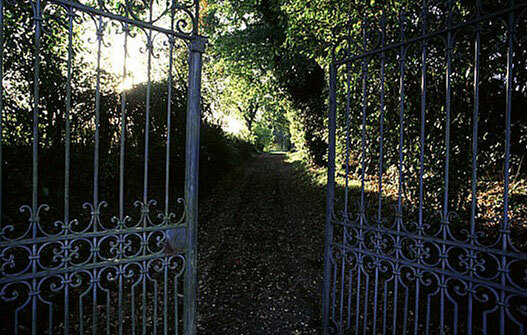 As we walked the narrow country lanes on our initial visits a vision began to form and we eventually decided that what began as a dream could become a reality — we would make Armagnac. As our dream was evolving, we met Marc Darroze, the head of Darroze Armagnacs, France's leading Armagnac negociant. The renowned wine critic Robert Parker called Marc's father, Francis Darroze, the "Pope of Armagnacs," and fine restaurants and connoisseurs worldwide appreciate Darroze Armagnacs for their purity and high quality. To our good fortune, Marc agreed to advise us and has worked tirelessly to help make our dream a reality. Unlike so many products today, Armagnac remains a product of traditions handed down from generation to generation and with Marc's help we enlisted an extraordinary group of talented and dedicated local artisans and our success at Domaine Loujan is largely due to their passionate craftsmanship. We began our search for a vineyard in 1998 — land that had just the right combination of soil and climate to produce the very best Armagnac. As we tasted various Armagnacs and studied the soils and microclimate, our search narrowed to a small sliver of land known historically as the "Grand Bas Armagnac" for the high quality of its Armagnacs. We celebrated the millennium by purchasing Domaine Loujan in 2000, a property that Marc and his father identified while searching for aged Armagnacs to add to their collection. 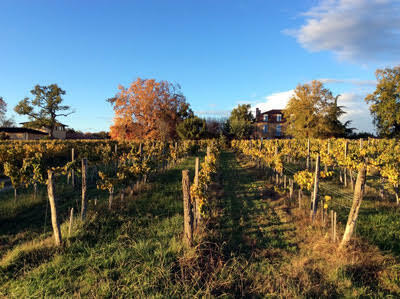 From the soil to the sky, everything is perfect at Domaine Loujan to produce high quality Armagnac. Adjacent to the small village of Mormes in the Department of Gers in Southwestern France, the nearby Landes forests moderate the weather moving east from the Atlantic coast creating a unique microclimate which provides mild, but vigorous, winters, rainy springs, hot dry summers and sunny falls that are perfect for the ripening grapes. When the ancient ocean channel covering the area retreated, it left a marine alluvial sand, called "tawny sand," that is acidic, rich, light and easy to work. In short, a climate and soil that has been recognized for centuries as the perfect environment to produce the very best Armagnac. Our philosophy at Domaine Loujan is simple—respect Mother Nature and interfere as little as possible to let the grapes express themselves in the Armagnac. And our goal is equally straightforward — to produce the best possible Armagnac. Serge Valdennaire, a neighbor who also raises his own grapes, cares for the vines. Working with Serge, Marc and Jean Paul Gabard, an environmental soil consultant, we prepare a detailed plan each year to assure the best possible care for the vines. In 2009 we applied to be certified as an organic producer and after the required three year probation period Domaine Loujan was officially certified "Organic" in 2012 and has been re-certified "Organic" each year since then. We have also added a modest quantity of Folle Blanche grape vines and increased the portion of the Baco vines through new plantings and by grafting a portion of the existing Ugni Blanc vines. Currently we have a total of 5.5 hectares (approximately 14 acres) in vines with about 50% Baco, 40% Ugni Blanc and 10% Folle Blanche. Making Armagnac is labor intensive, but it is a labor of love.  One of our first tasks after purchasing Domaine Loujan was to update the vinification cellar. While the vinification cellar remains very traditional and is quite rustic compared to many modern vineyards, the wine now ferments in lined concrete tanks with stainless steel doors and other modern features. From the first harvest we have fermented using only the yeasts naturally found in the Domaine's grapes. It brings a degree of uncertainty into the fermentation process, but it rewards us with a very natural and flavorful product. 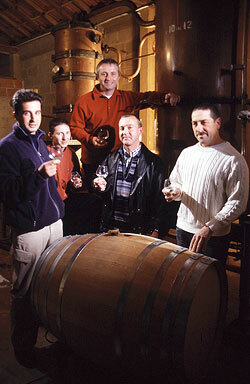 All Armagnac from Domaine Loujan is distilled in the traditional fashion — an alambic armagnacais, an ancient copper apparatus that displays its own energy efficient genius by distilling the wine in a single continuous process, unlike the double distillation stills used to produce Cognac and essentially every other brandy. Before the very first drop of Armagnac was produced at Domaine Loujan, we searched for the right alambic to bring out the very best in the fruit from the Domaine. It is in the alambic, after all, that Armagnac is born. While old and slow, the alambic we chose, and continue to use, produces a wonderfully pure eau de vie. Following tradition, this ungainly apparatus, lumbering behind its support truck, arrives at Domaine Loujan each fall to begin its work. Philippe Gironi and his experienced distillateurs, particularly Jerome Lacave, watch over the distillation process 24 hours a day from start to finish as the alambic performs its magic, slowly producing at most four barrels of eau de vie per day. In order to maximize the natural flavors and avoid any need to dilute the Armagnac by the addition of water, we distill to a very low degree, approximately 53-54 percent alcohol. By distilling to a low degree, more of the grapes' natural flavors and aromas — and soul — are preserved. To capture even more of the flavors and aromas we distill early, while the lees with their fatty acids and esters are still suspended in the wine. It is around the fire of the alambic each fall that friends and neighbors gather at Domaine Loujan for the traditional celebration of the year's harvest. The wonderfully aromatic and spirited eau de vie flows directly from the alambic into new French oak barrels hand crafted by Gilles Bartholomo only a few kilometers from Domaine Loujan. 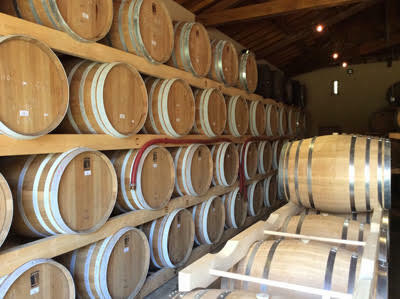 Gilles' barrels are truly works of art, and people have been known to stand in awe staring at a new group of barrels, sniffing and rubbing them as one might a fine piece of aromatic furniture. Each of these wonderful vessels is made by hand, without any nails or glue, from aged staves cut from locally harvested oak trees. The casks are then lightly charred by fire to bring out just the right flavors before being rolled into their appointed place in the chai at Domaine Loujan to wait to be filled with eau de vie. Aging is an art and time is the main tool. 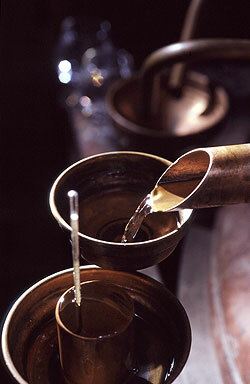 Armagnac's crafting truly begins the moment the eau de vie arrivs in the barrels. 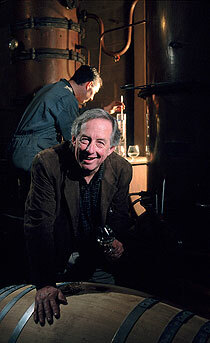 Fortunately, Marc Darroze has been generous in sharing the wisdom that his father passed on to him from birth as he joins us in watching over the evolution of the young brandy from the time it first arrives in its new oak cask until it leaves to take its place in fine restaurants and homes around the world. 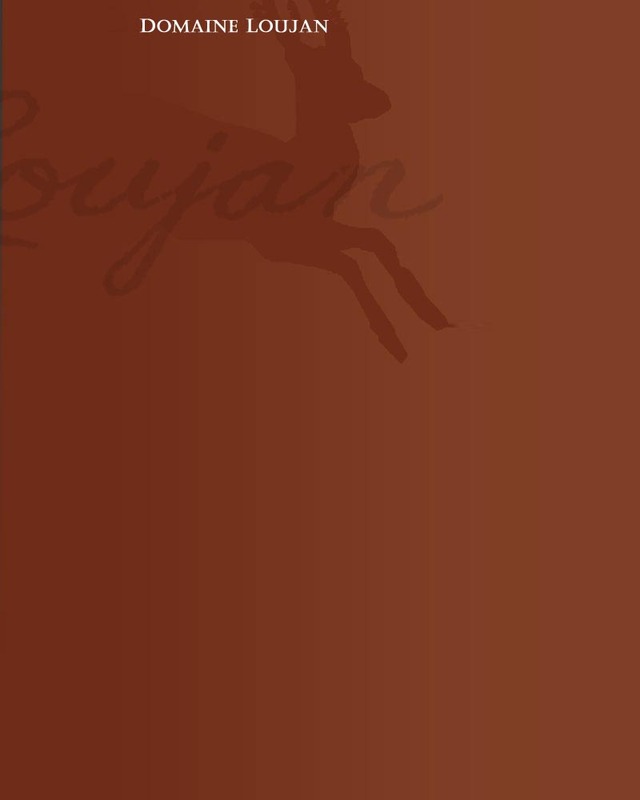 At Domaine Loujan each grape variety from each year is harvested, fermented, distilled and aged separately. As the Armagnac ages, each barrel is individually monitored, tasted and aerated on a regular basis. When the new oak has made just the right contribution, the adolescent brandy is moved to older oak barrels to continue its maturation. During this time, the wood breathes, the alcohol evaporates, and the color deepens. Slowly the tannins lose their aggressiveness and fruit aromas arrive. With time, just the right balance is achieved between tannin, alcohol and aromas. It is only after years of aging — when the eau de vie has matured and expresses its true personality —that any blending occurs. All of this occurs naturally at Domaine Loujan. There are never any additives of any kind and no dilution is ever made. Because we bottle all of our Armagnac at cask strength, we rely on Mother Nature to reduce the alcohol to the appropriate level. That requires a humid environment. Unfortunately, the historic aging cellar (chai) at Domaine Loujan was too dry to meet our needs so we constructed a new chai using traditional Gascon carpentry. The new chai is magnificent and with its earthen floor provides just the right amount of humidity to allow the eau de vie to age gracefully while slowly losing alcohol to the heavens — referred to as "the angel's share." In fact, the tile roof of the chai is already darkening due to the minute organisms that thrive on the evaporating alcohol. As we waited for the Armagnac produced at Domaine Loujan to age, Marc Darroze joined us in searching the nearby rustic cellars to find aged Armagnacs that would be consistent with the quality and style we expected to produce at Domaine Loujan. After a lengthy search, involving the tasting of a very large number of wonderful old Armagnacs, we purchased some of the very best aged Armagnac stocks from neighboring domaines. These stocks were produced from Baco and Ugni Blanc grapes — the two grape varieties historically grown at Domaine Loujan. To provide a sense of the evolutionary process of aging Armagnacs, we acquired stocks in different age ranges. We then blended these stocks and aged them further at Domaine Loujan to allow the spirits to slowly marry before filling the first bottle. Because these Armagnacs were not produced at Domaine Loujan, they are labeled "Loujan Bas Armagnac." However, these wonderful spirits were produced by our neighbors pursuant to the highest possible standards, distilled in an alambic armagnacais and aged in French oak. Equally importantly, they are totally pure, with no dilution and no additives of any kind. Our success with these wonderful products has exceeded even our most extravagant hopes. The first two bottlings, a 12 year old and a 22 year old, received medals at the prestigious San Francisco World Spirits Competition in 2004. Our next two bottlings were even more successful. Our 1979 Vintage Loujan Bas Armagnac, received a double gold medal and was named "Best Armagnac" and "Best Brandy" at the 2008 San Francisco World Spirits Competition and the 17 year old Loujan Bas Armagnac received a gold medal.